Twelve years ago, house hunting for the first and last time, I had two requirements: wood floors and a fireplace. If only I had dreamed bigger: property and privacy. Those two things were far from my 22 year old mind. If I ever get the chance to house hunt again, I'll be a wiser hunter. Back to the wood floors and fireplace. I had no idea how messy a fireplace would be, and how much time I'd spend sweeping the wood floor around the fireplace, and from the path between the wood pile and the fireplace. So out of necessity and materials on hand, a design was born. 1. Cut two large rectangular panels from burlap, 19 inches wide by 33 inches long. Cut two long rectangles for the handles, 5 inches wide by 20 to 22 inches long. You can also use heavy twill, denim, or decorator fabric for the carrier. 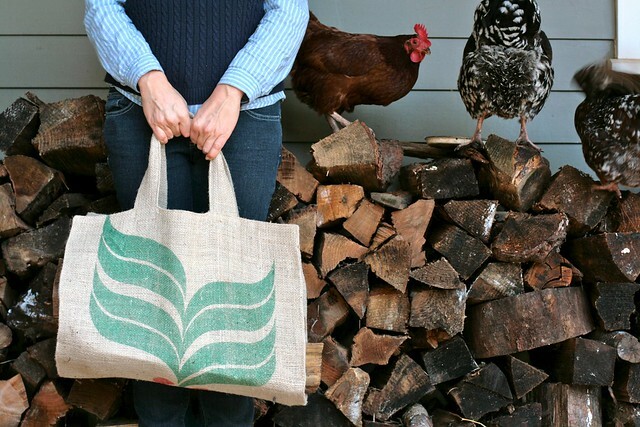 * Save your burlap scraps. 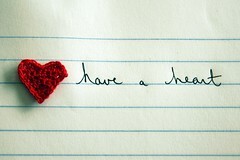 I have a valentine project coming up soon! 2. Make two handles. Fold and press the long sides of the handles over 1/2 inch. Fold handles in half and sew about 1/8 inch from edge. 3. Place and pin the handles on carrier, one handle on each short side, sandwiched between the two rectangular panels (right sides of panels facing each other). Extend the handles beyond the edge of panels by one inch (for reinforcement in step 5). 4. Using a 1/2 inch seam allowance, sew all the way around the carrier, leaving a 10 inch opening along one of the long sides. 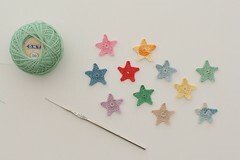 Reinforce the stitching on handles by reverse stitching. Make sure to lock seams at beginning and end of stitching. Snip all four corners at a 45 degree angle, close to the seam. 5. Turn carrier right side out. 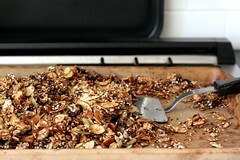 Push corners out to a point with a turning tool (I use the bigger end of a chopstick). Press all seams flat, pressing the unstitched opening under 1/2 inch. Topstitch 1/8 inch from the edge all the way around the carrier, thereby stitching the opening closed. 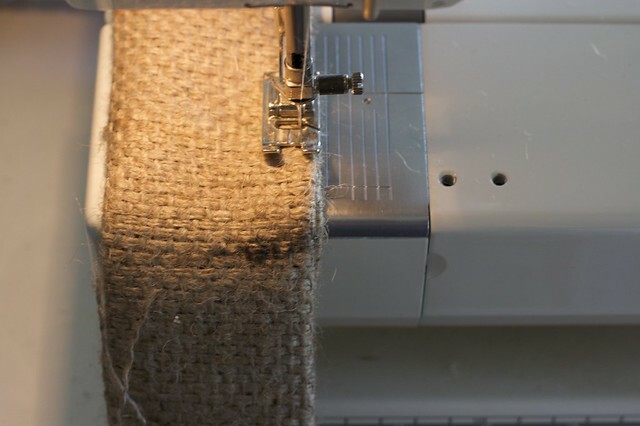 Reinforce the handles by sewing a small rectangle on the panel at the base of each handle. You're now ready to fill your carrier with firewood and make a relatively clean trip from the wood pile to the fireplace! The carrier can be folded up and stored flat when not in use. Enjoy! P.S. Time for a little shameless commerce. I have two extra carriers for sale. Email me if you're interested. Each carrier is $35.00, including shipping. Thanks! two comments- one, my favorite knitting bag is made from a cafes do brasil bag. two, is your black and white chicken a silver-laced wyandotte? GORGEOUS bird!! 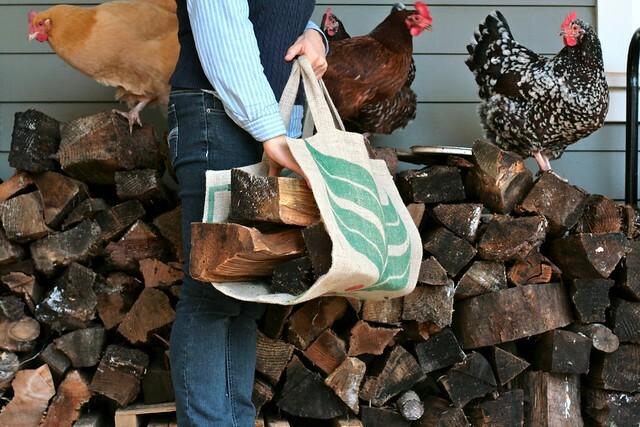 oh, and three, those bags are scarce as hen's teeth around here, but I'm going to improvise one as soon as my wood stove is up and running. Well, I realize that the focus here is on these carriers (which would do me a world of good. we heat with a woodstove.) but I think you should have kept your face in the pictures so everyone could see you. You could have made funny faces and made us all laugh. 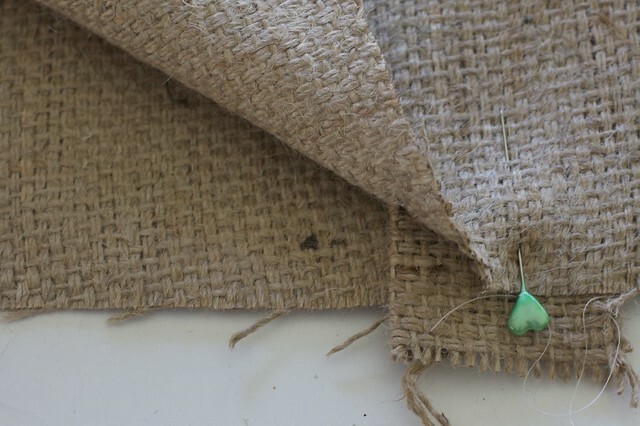 I don't have any coffee bags but I bought a bunch of burlap to wrap some shrubs for winter, and never did. I'm ready for the Valentine's day tutorial. You are totally my Valentine's day source it seems. Love this! I have a Cafes do Brasil bag serving as a tablecloth for an end table right now. 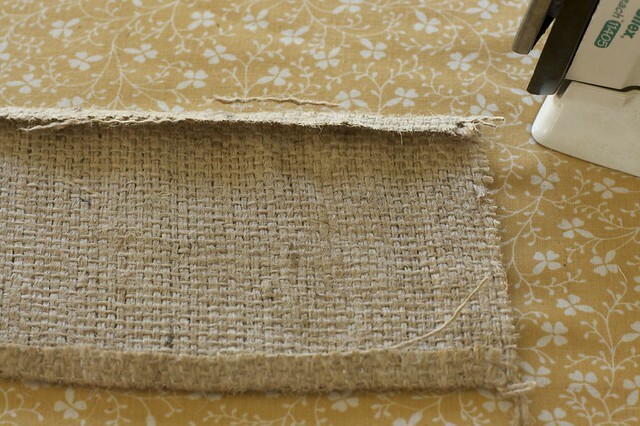 I have a toooooon of burlap bags laying around, thanks for a new project idea! I skipped over to your blog from the habit of being. Needless to say this is a delight to find. Thank you for your lovely posts (and your shameless commerce plugs). So many lovely items you make, images you capture, and thoughts you share. now I need a fireplace!! 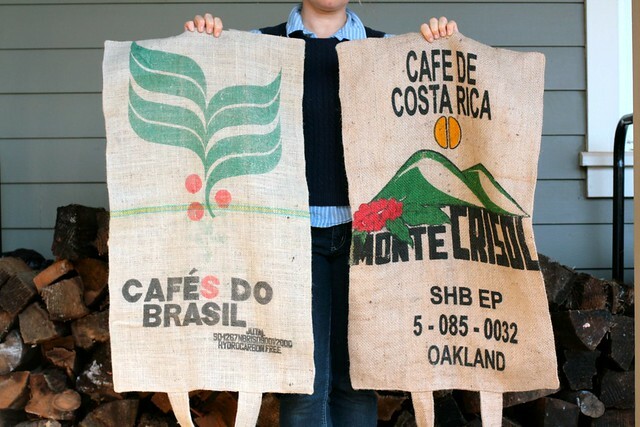 How does one find coffee sacks? 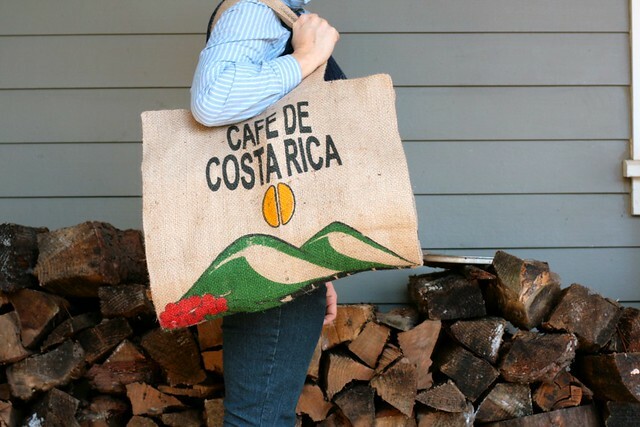 Andrea - I get my coffee sacks from a local coffee roaster. They often give them to landscapers, but every once in a while, I hit the jackpot! 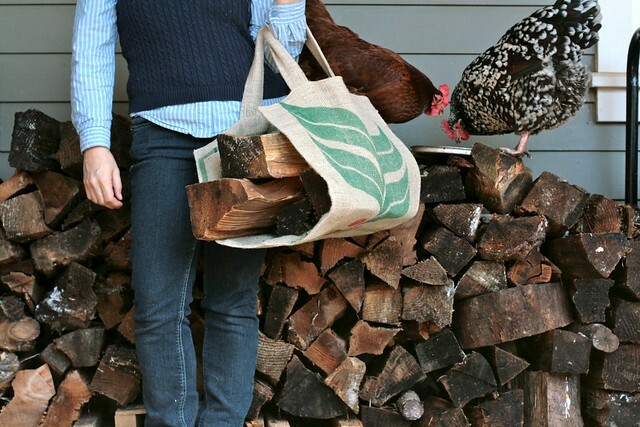 I need to get a coffee bag :) The wood stove is a messy deal. i wish i had a wood stove. That's on my 'house shopping' list. along with wood floors, fenced property, good soil, and a dry basement. Fun, fun. If you could fashion low sides on them, about halfway up, they would hold in the little crumbs that like to fall out. Love, love, love your chickens!!! The kids and I made one of these a couple of years ago out of a thick woven fabric we rummaged from somewhere and some woven webbing handles. It has held up amazingly well. I might just adapt your instructions... Thanks! Oh I love your chickens! That's gorgeous and I LOVE the shots with the chickens! So pretty! Thanks so much for this, I'll be linking. oh, wow. thank you. 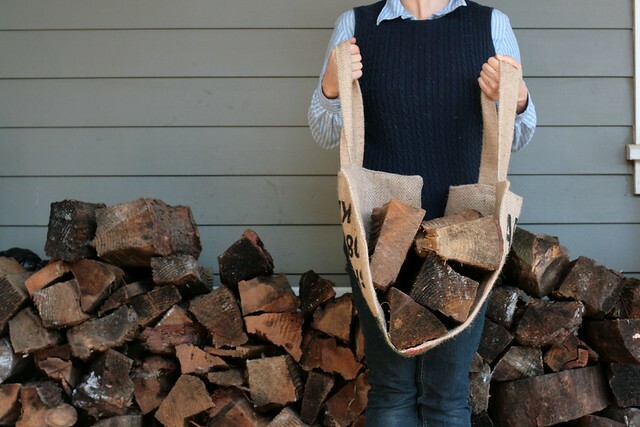 i happen to have a giant pile of coffee sacks in the garage and a tremendous need for a firewood carrier. you have just solved two of my current dilemmas. methinks i'll need to make a mini version for The Boy Who Likes To Help. 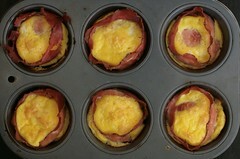 looks perfect! now, if only we had a fireplace. . .
see? this is just one more reason that I need that fireplace we have been scheming up for two years now. wonderful! 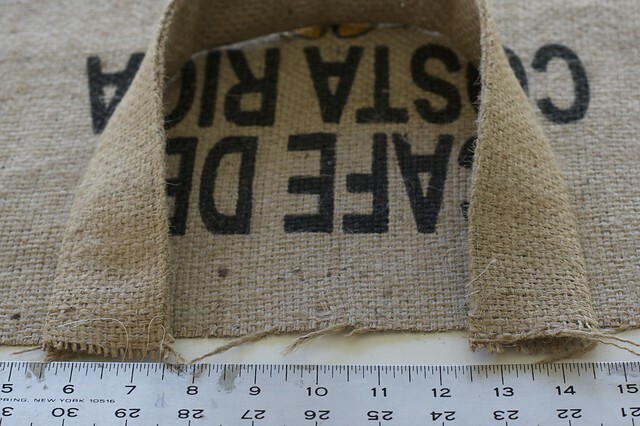 my hubby made one of those bags out of a reusuable shopping bag...but now that i see the burlap coffee sack...i just may need to make another! I read through the comments and saw where you got your coffee sacks...thank you so much for the tip! I was wondering! Living in Costa Rica it was a real treat seeing the carrier from a coffee sack. Thanks for the idea! i have to say, I LOVE THOSE CHICKENS! 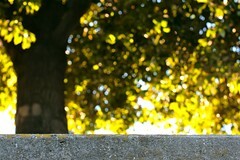 but i also love the carrier, hope you don't mind me posting a link from my blog to this pretty project.